See below for a report from Rebecca Davies (NTNU, Trondheim, Norway). Rebecca was awarded a BARS Stephen Copley Research Award, and she explains her subsequent research activity here. 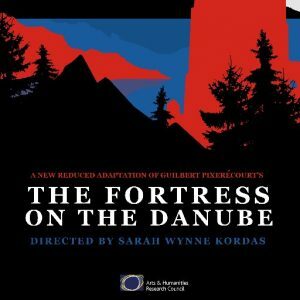 The Fortress on the Danube is being performed at the Georgian Theatre Royal, Yorkshire, on Friday 25 August, 7.30pm. Director: Sarah Wynne Kordas; Musical Director: Diane Tisdall; Dramaturge: Sarah Burdett. Tickets can be purchased here. For the past five months, I have been working as a Post-Doctoral Research Fellow at the University of Warwick on the exciting practice-based research project ‘Staging Napoleonic Theatre’. The project, led by Dr Katherine Astbury, and funded by the AHRC, has involved staging two nineteenth-century French melodramas in translation. Roseliska, a melodrama of 1811, written and performed by French prisoners of war at Portchester Castle, was revived at the site of its original production in July 2017; and La Forteresse du Danube, (translated as The Fortress), by prolific French playwright Guilbert Pixerécourt, initially staged at the Théatre de la Porte Saint-Martin in 1805, is being revived at the Georgian Theatre Royal, Richmond, on 25 August 2017. One down, one to go! 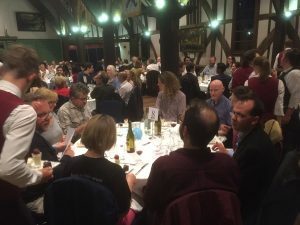 This was the 15th conference of the British Association for Romantic Studies. Postgraduate bursary winners have been invited to write short reports on their experience as a delegate and/or speaker at the event. Here are the first three – more to follow at a later date. Enjoy! You can also see the storify of the tweets, and pictures from the event, here. Sarah Comyn, who gave an excellent paper on mechanics’ institutes in the colony of Victoria as part of a panel of presenters from the SouthHem project at ‘Institutions as Networks’, has written an illuminating breakdown of the workshop’s discussions, which can be seen on the SouthHem project site. 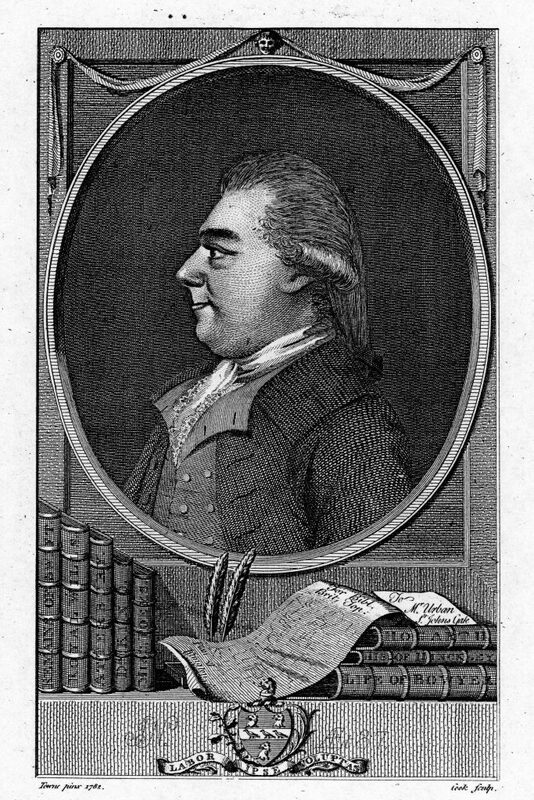 Often confused with its sister societies, the Royal Society and the Society of Antiquaries and, because of the shortened form of its name also the Royal Academy of Arts, the Society of Arts’ membership represented the ‘Nobility, Clergy, Gentry, Merchants, etc’ from its very first meeting in 1754. Through this network, through its activities and through its publications the Society presents a wide variety of connections and networks, which this paper attempts to illuminate. 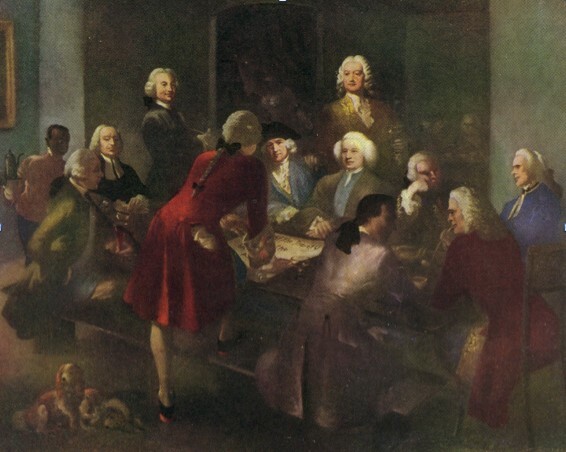 Foundation meeting of the Society of Arts, held at Rawthmell’s Coffee House 22nd March 1754, by Anna Zinkeisen, 1954. (c) RSA. I recently attended and gave a paper at the British Association for Romantic Studies (BARS) conference. A wonderful gathering of Romanticists in York. My supervisor (Dr. Jim Watt) was one of the organisers and it was a great event. I’d also like to thank him again for all his help – I have just submitted my minor corrections after my Viva on the 6 July. Jim invited me to produce a Research Poster to go on display. Here it is – and if you want to read more about this research, please see my article in the Keats-Shelley Review. More soon! & don’t forget to check out The Shelley Conference 2017 programme, now online here.